Get online decorating + home staging advice! Most kitchens have neutral cabinets but opting for a color is a great way to make a statement in the space. Green is a smart choice because its presence in nature gives it a similar appeal to neutrals while still offering a bit more pizzazz. There is a wide range of choices within a green palette. You can go for something subtle or vibrant. 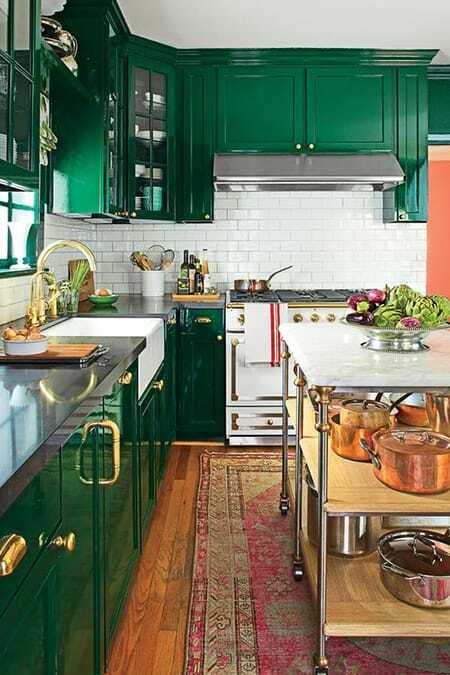 Emerald green cabinets with a high gloss finish, for example, will be very striking and eye-catching while soft green cabinets in a flat paint will be more serene and subdued. It also depends on what you pair them with in terms of accents and fixtures. 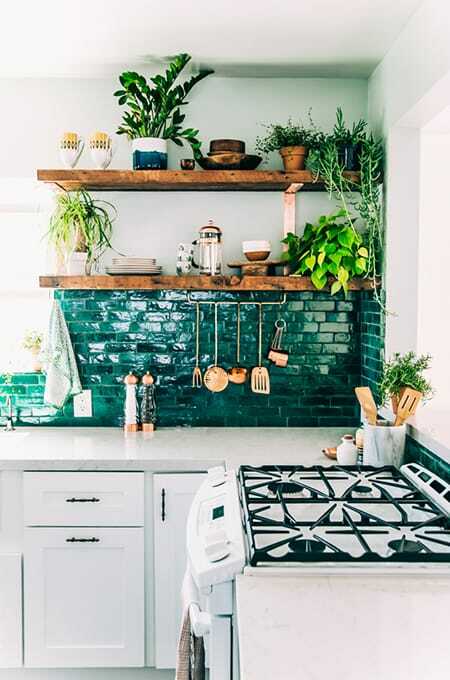 Here are 10 beautiful ideas for green kitchens to give you an idea of the versatility of the color and some inspiration for your own home. The muted green cabinets and backsplash paired with the wood floors creates an earthy vibe. 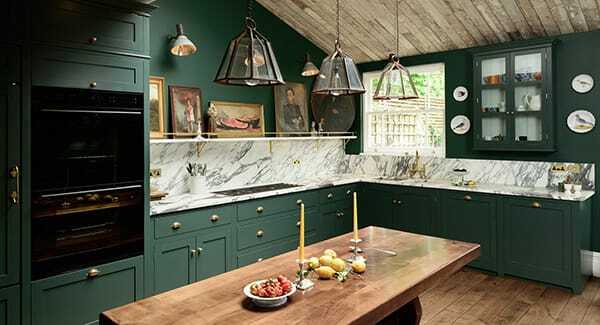 The cabinets have a subtle green tint under an antiqued finish for an eclectic look. 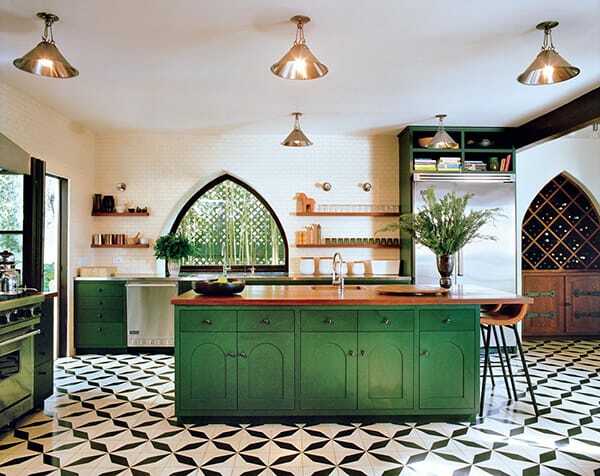 The emerald green glass tile is stunning and eye-catching. 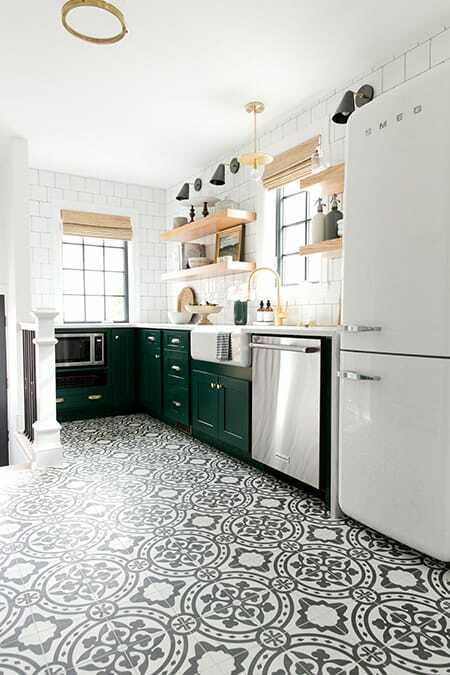 The deep green cabinets create a beautiful contrast with all the white in the space. How striking are these green cabinets paired with the marble backsplash? 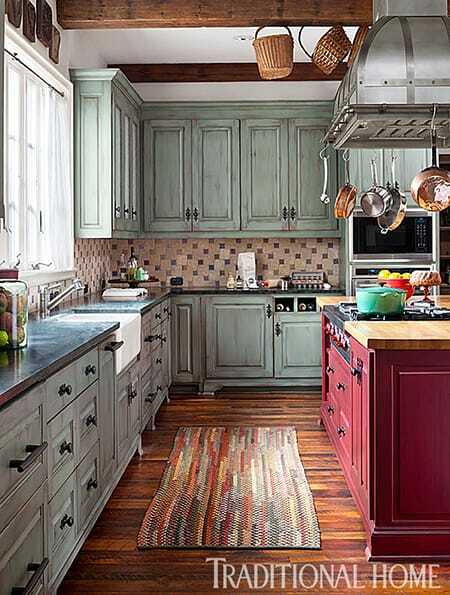 This kitchen is full of charm and character. The green cabinets bring nature inside. 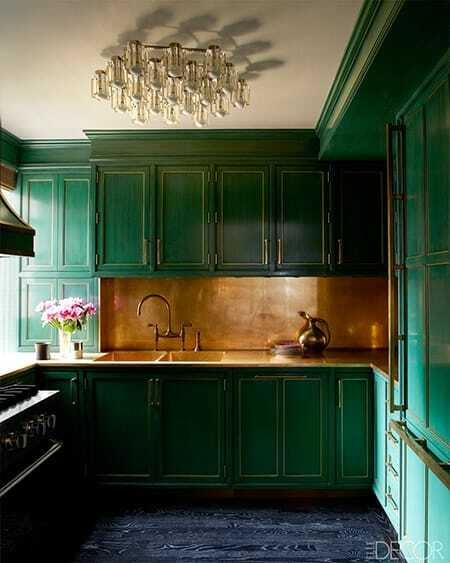 The copper backsplash, countertop, and fixtures are perfectly paired with the green. 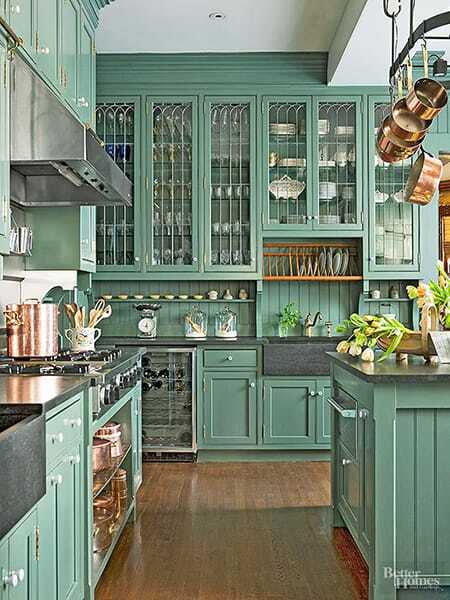 High gloss green cabinets steal the show in this beautiful kitchen. 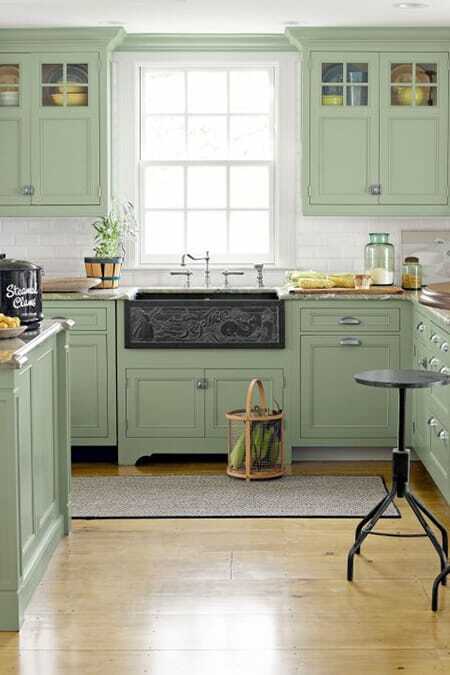 A soft green is relaxing and brings some character to this kitchen without being overwhelming. 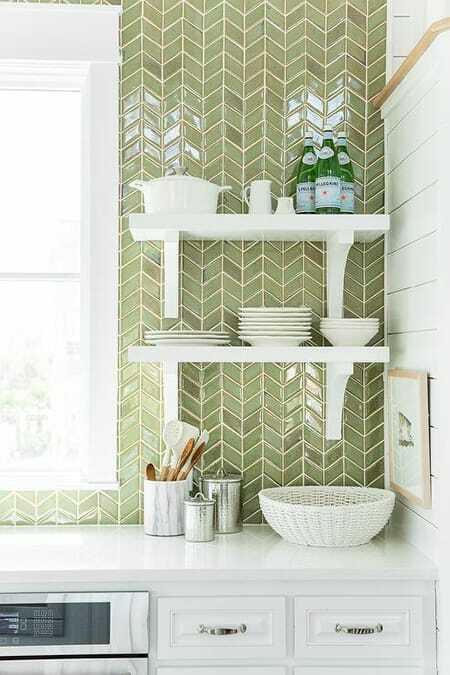 Soft green glass tile in a herringbone pattern is unique and chic. How do you feel about going green in the kitchen? Megan Morris is the CEO and founder of MHM Professional Staging, LLC in Orlando, FL and is a home staging expert, design specialist, event stylist, and fine artist. She has written three books, her most recent being Stageology: How to Stage to Sell in which she shares the best staging tips and tricks she's learned in her 10+ years as a professional stager. Most importantly, she is a proud mother of three ─ four, if you include their dog, Elvis.